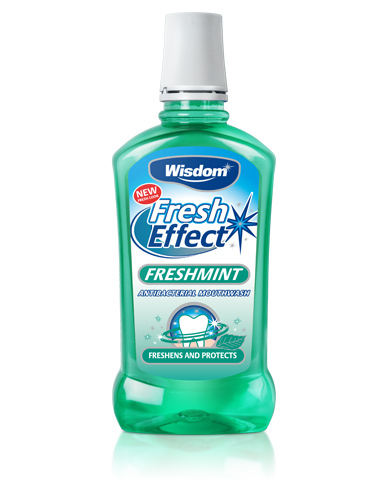 Wisdom Fresh Effect Freshmint mouthwash contains enamel strengthening fluoride that gets into even hard to reach areas. The antibacterial action fights plaque and bacteria to help protect teeth and gums keeping your mouth feeling clean and your breath fresh. Part of the Fresh Effect range.